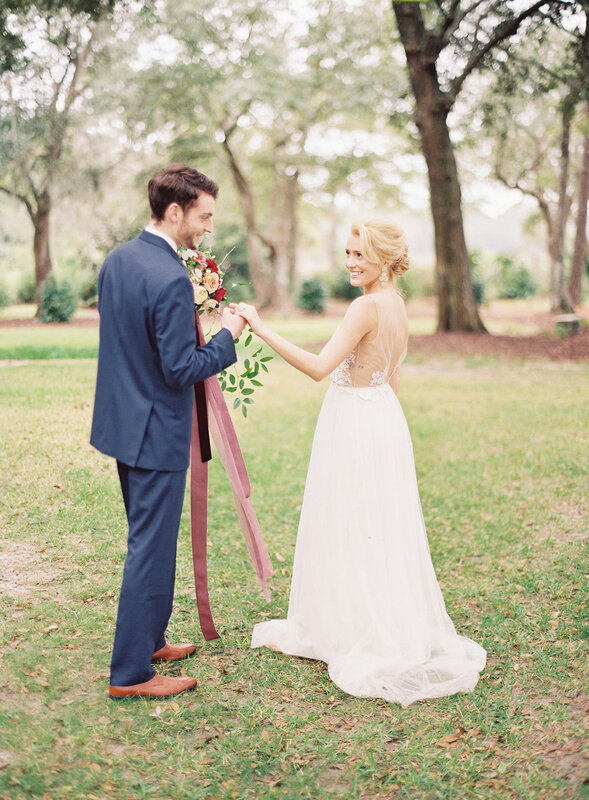 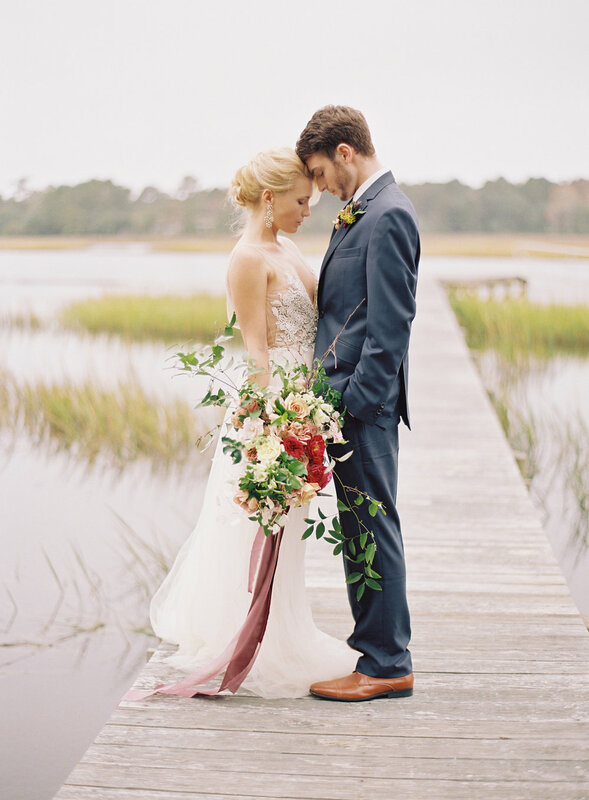 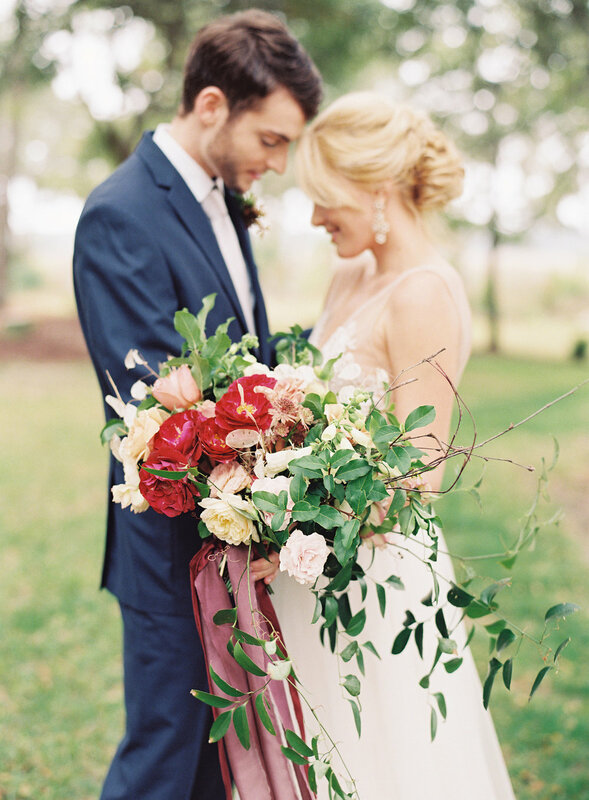 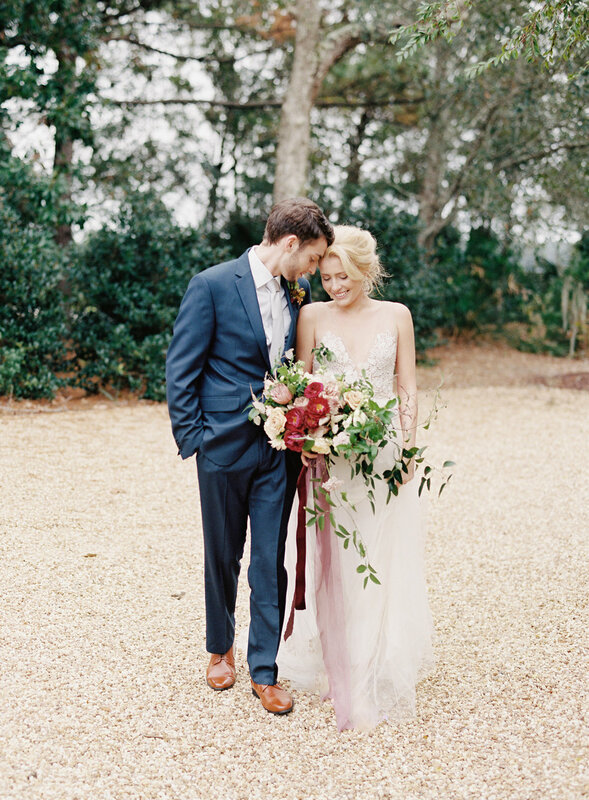 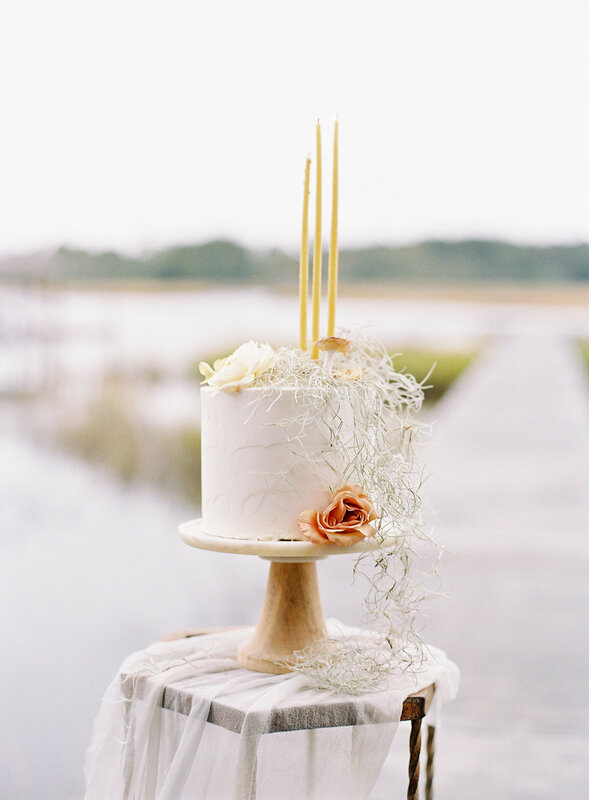 Recently featured on the front page of Style Me Pretty: Our main wedding inspiration styled shoot from our second Michael and Carina Workshops, this time in Charleston, South Carolina! 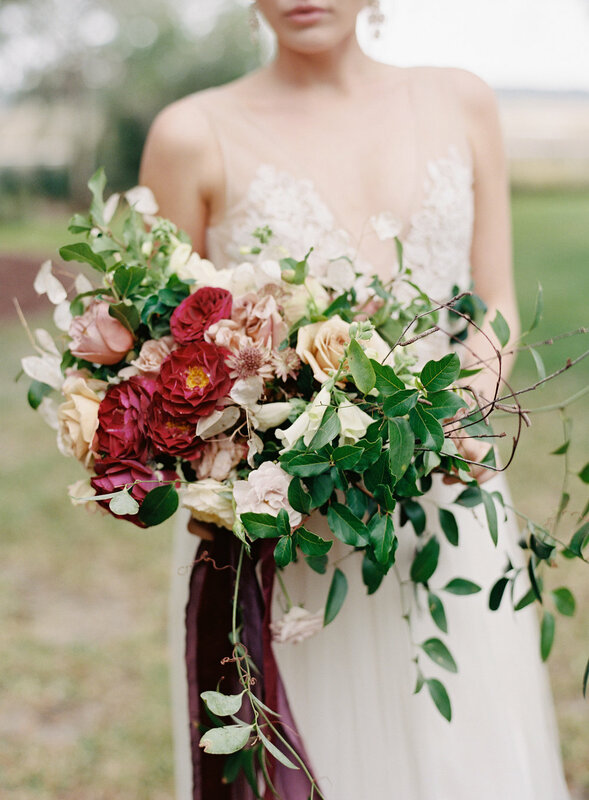 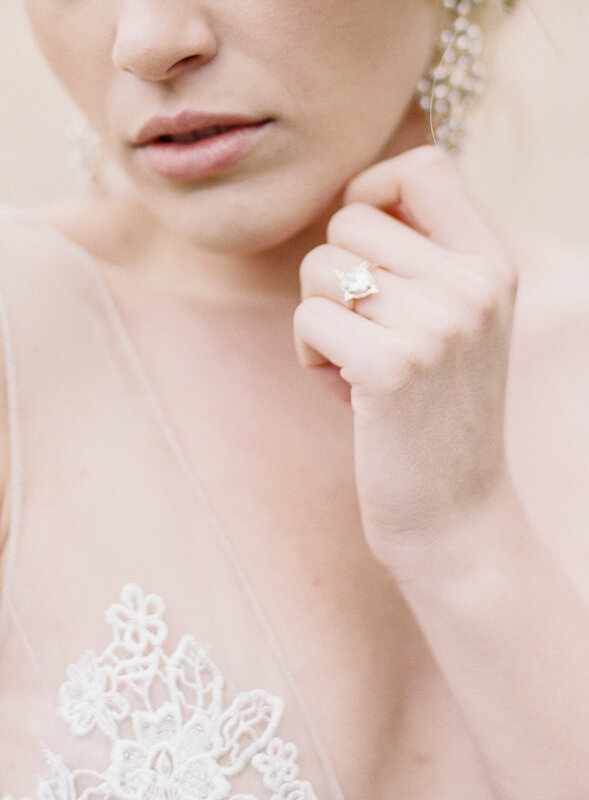 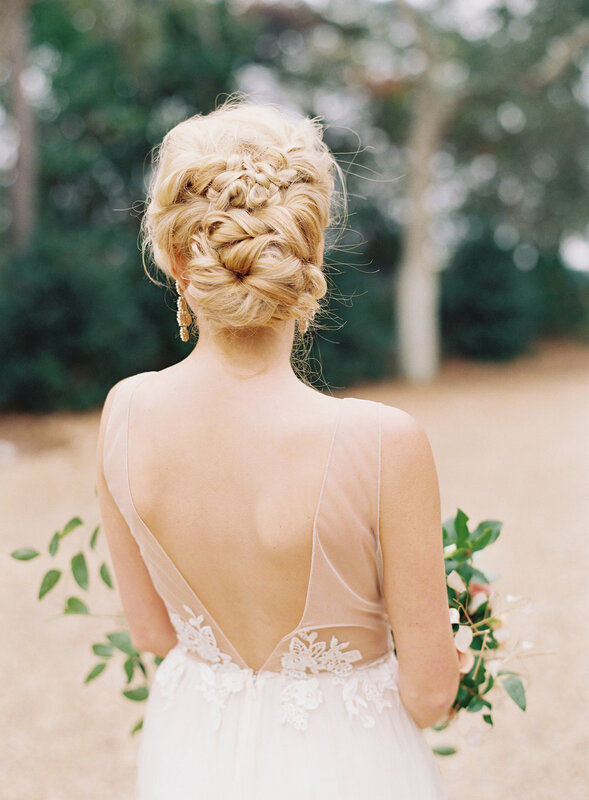 We had the opportunity to visit Charleston back in November for both this workshop and a wedding, and it was the most wonderful, fulfilling, yet busy week! 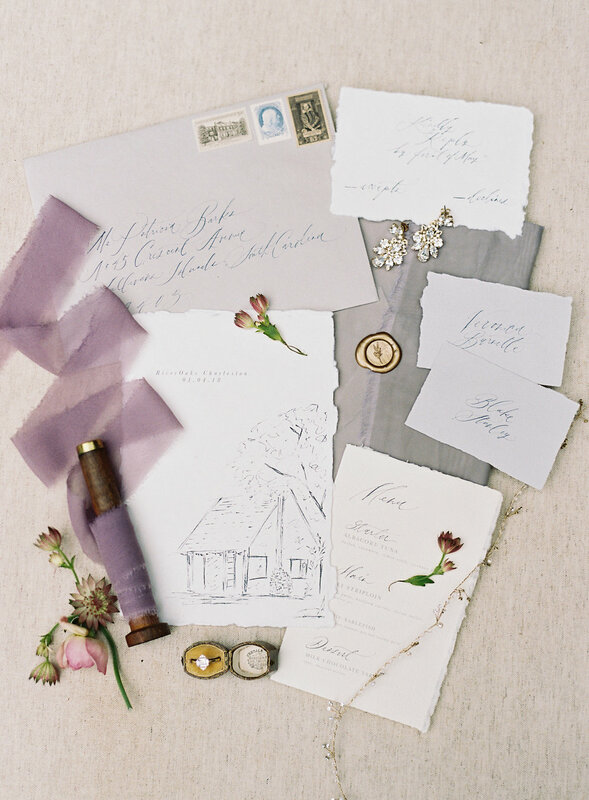 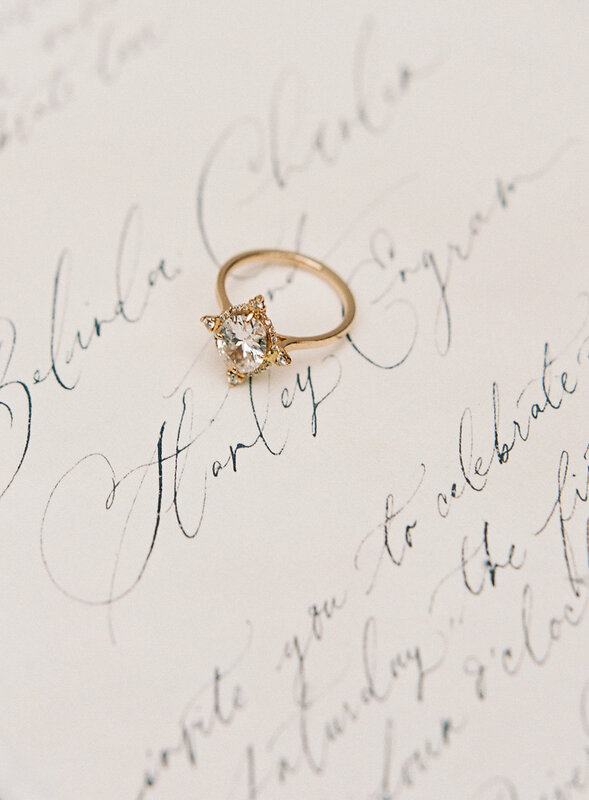 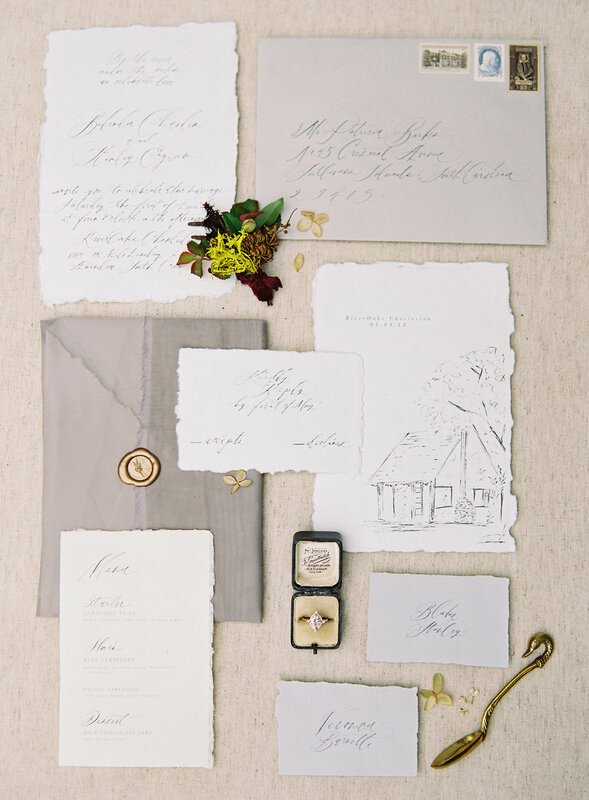 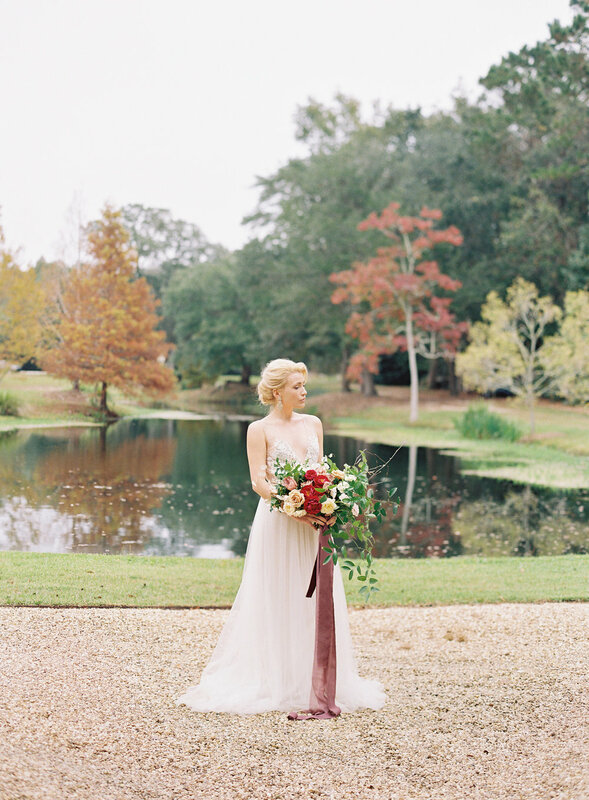 For the design of this shoot, I drew inspiration from the warm, European aesthetic of our venue, RiverOaks, and was equally inspired by a tasteful, jewel-toned color palette for fall. 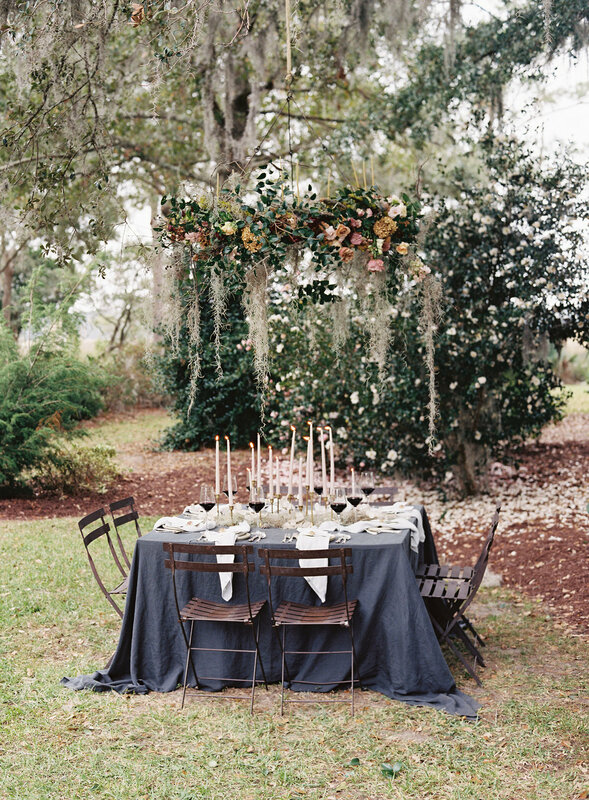 I also played around with some mixed textures - velvet and silk ribbons, linen fabric on our table, opalescent lunaria and creeping Spanish moss, and the juxtaposition of antique silver flatware with organic, handmade clay plates.